Put beauty, strength and utility on display with wrought iron curtain rods from Woodland Creek’s! When it comes to rustic decorating solutions, Woodland Creek’s offers everything you need to get the job done – from big to small to somewhere in between. We even let you put beauty, strength and utility to work when it comes to country decorating for your windows! You’ll find lots of options in wrought iron curtain rods beautifully made by Village Wrought Iron of central N.Y. at Woodland Creek’s. Explore your wild side with our bear, deer and moose wrought iron curtain rod silhouettes! Why not give your barnwood furniture, reclaimed wood furniture and cowboy decor look a boost? Explore your wild side with wildlife-themed curtain rods made of wrought iron. Choose from options like bear and pine, deer and pine or moose and pine. All are 1/2” in diameter, are available in a variety of telescoping lengths and feature a baked-on, flat-black, powder coating. 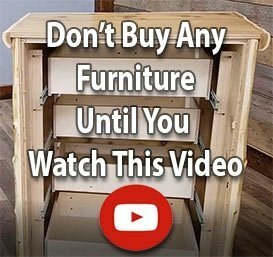 Compliment the wood furniture or log cabin furniture in your lodge, cabin, cottage or home any way you like by keeping things low key or going for the gusto! Browse Woodland Creek’s country decor until you find a style of wrought iron curtain rod that matches your rustic furniture sensibilities. Options include curls, leaf patterns, pinecone embellishments, patriotic stars and plain edges.